Ashiana is excited to be stocked in The Beach House of Naples, a designer swimwear, beachwear, and accessories shop sourcing from around the world, carefully selected to fit and flatter. The Beach House of Naples enjoys a reputation for swimwear excellence unrivaled in Southwest Florida. Specialising in designer swimwear and accessories, they have combined unequalled selection with superb service for over 30 years. The Beach House of Naples has been owned and operated by the same family for over 30 years. Who first opened their doors in 1976 at the flagship store on Third Street South, and in 1992 they opened their second location in the Waterside Shops at Pelican Bay. Ashiana is excited to be stocked in OutDazl, a London based beach and resort wear online store and boutique. With a strong boho chic and Ibiza style vibe, OutDazl is ideal for women who want to express their individuality. 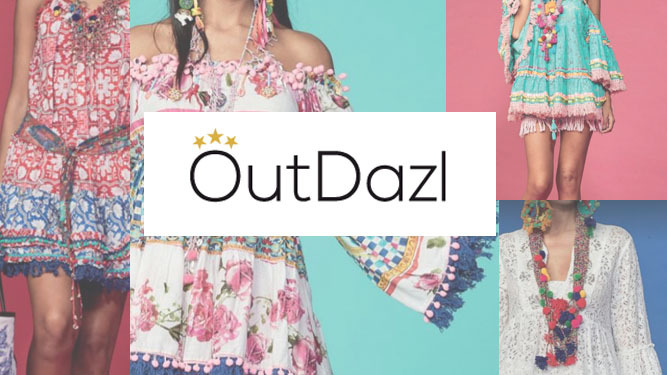 OutDazl's philosophy is to offer beautiful unique designer clothing made from luxe fabrics with stunning details coupled with the best possible shopping experience, so you can create your own Dazzling style. 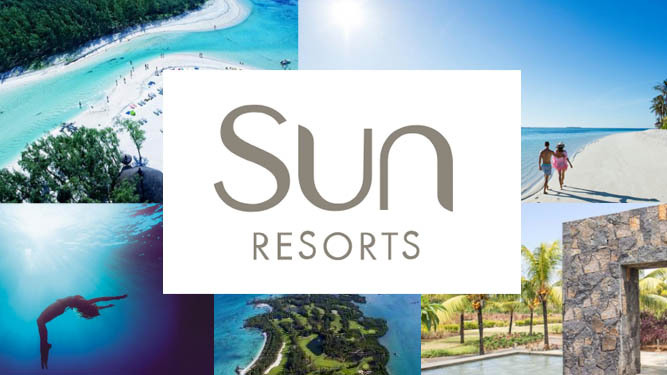 Ashiana is excited to be stocked with Sun Resorts. Premium resorts in Mauritius & the Maldives. Starting from humble beginnings on the island of Mauritius 35 years ago, Sun Resorts holds a portfolio of premium resorts in Mauritius as well as the flagship resort in the Maldives.They are recognised in the industry for sustained excellence and relentlessly pursuing higher standards of hospitality, with core values that filter into everything they are and do. Ashiana is excited to be stocked online with Gerrards! 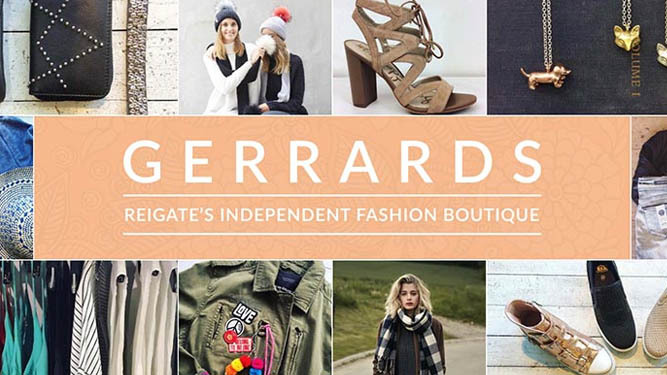 Gerrards is a family-run, independent fashion boutique in the friendly market town of Reigate. Showcasing a diverse range of handpicked labels from small local designers to larger, more established brands they offer a mixture of unique boutique finds, useful everyday basics, covetable classics and desirable gifts in a relaxed and welcoming environment. 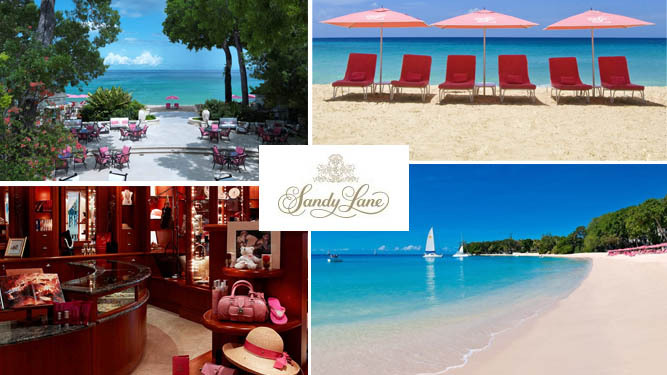 Ashiana is excited to be stocked in one of the most prestigious resorts in the world, Sandy Lane, Barbados! Whether shopping for designer clothing or a special memento, Sandy Lane has a fine collection of boutiques to discover around the resort. Offering exclusive collections of very stylish accessories; they have the latest in designer resort wear and beautiful jewellery; including Ashiana SS18. The Sandy Lane Boutique offers a unique and exclusive range of brands for both males and females which include clothing, jewellery, shoes, hats and bags. They strive to offer an unique shopping experience specially tailored for the Sandy Lane Hotel guest. Ashiana is excited to be stocked online with Sansom Reed! 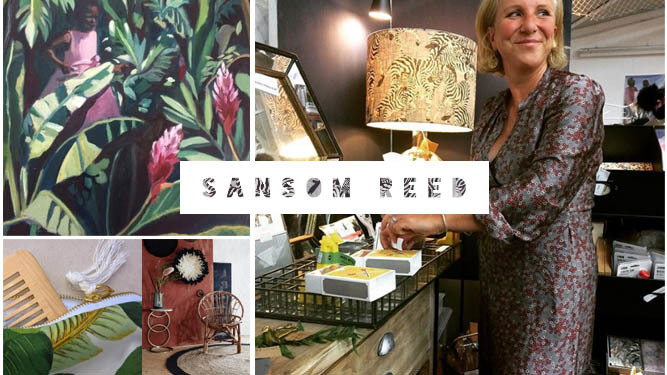 Thinking organically with influences from antiquities, architects and the great art masters, Sansom Reed endeavours to bring you original style with easy furnishings. Offering gifts that are for keeps, very pleasurable and well designed for the length of their life. Annie and Joanne work closely with great pleasure to bring forth a collection of very affordable interior furnishings, lifestyle products and exquisite design pieces. Ashiana is excited to be stocked at Pink Lemons Boutiques! Pink Lemons is a lifestyle shop that is hard to beat. They pride themselves on being a small local store with a welcome feel and a quirky edge whilst also projecting a professional feel of something much bigger.. 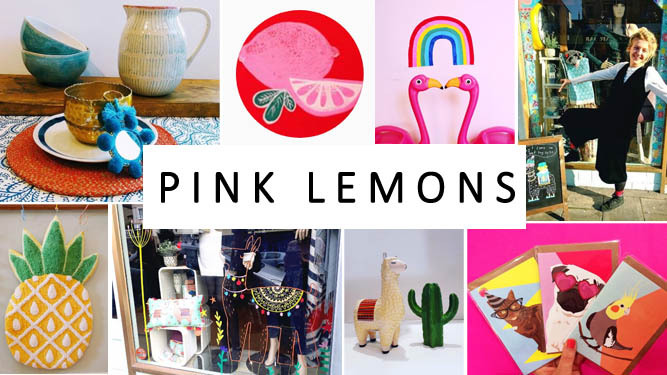 Pink Lemons combine the best of a clothing store with a fantastic gift and homeware shop. The result has an ability to excite and stimulate with gifts, accessories and clothing seemingly mixed in such a beautiful and creative way that you are left with a warm glow and just wanting more! 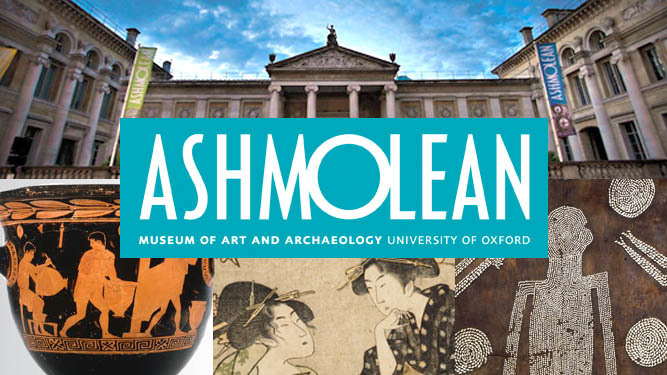 Ashiana is excited to be stocked at the Ashmolean Museum shop! The Ashmolean is the University of Oxford’s museum of art and archaeology, founded in 1683. Their world famous collections range from Egyptian mummies to contemporary art, telling human stories across cultures and across time. Ashiana is excited to be stocked at Edit Lifestyle! 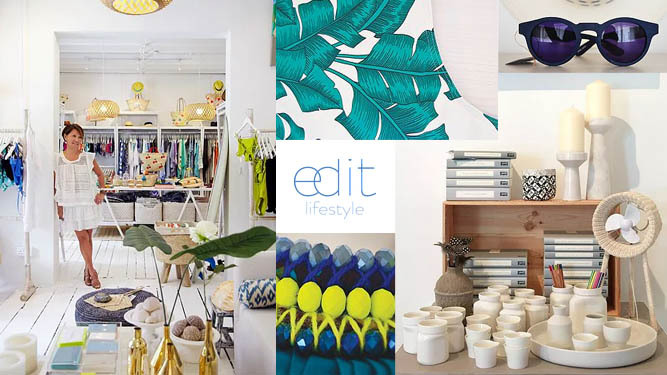 Edit Lifestyle is a concept store that carries a finely tuned selection of pieces from designer resort labels, footwear, jewellery, sun-protective eyewear, skincare, homeware and art, to one-off artisanal pieces. Stumble upon luxurious cushions in silk ikatswoven in Uzbekistan, beaded accessories made by Masai tribesmen in Tanzania to vintage deck chairs and antique napkins sourced from Parisian flea markets. The underlying charisma that binds Edit’s eclectic selection are originality, ingenuity and authenticity. Ashiana is excited to be stocked at KEIKO! 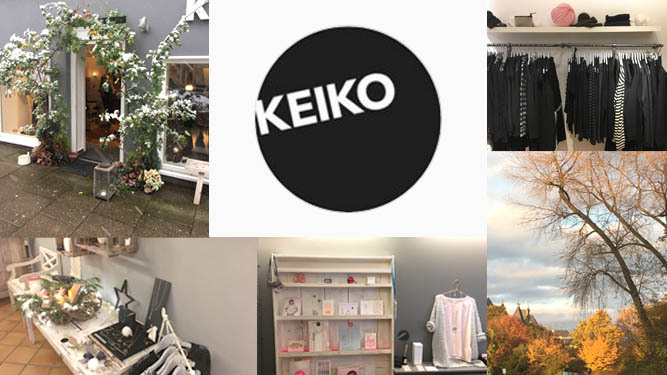 KEIKO is a small but established fashion shop located in Eppendorf, Hamburg. The area is a famous hotspot for delightful shops and cafes. For more then 10 years KEIKO has stocked trend lead fashion brands, carefully selected from fashion metropolis like Paris, Copenhagen, London, Hawaii and South Africa. It is often that the owner who was born in Tokyo, (inspired the name KEIKO, which is part of the concept and represents the content mixture of 'orient meets occident') takes care of her customers personally and offers styling advice and supports her customers in finding a look which suits their personal style. Ashiana is excited to be stocked at Sloan! Perfectly placed in historic Dilworth, nestled between uptown and south Charlotte, North Carolina. Sloan began its days with the perfect styles to create the eclectic looks that their clients were seeking. Adding a designer shoe selection in 2002 created the opportunity to dress clients from head to toe. Shopping at Sloan gives customers a fantastic experience to guide your look from beginning to end and it’s a benefit Sloan is proud to offer. Ashiana is excited to be stocked at Curtain Bluff! 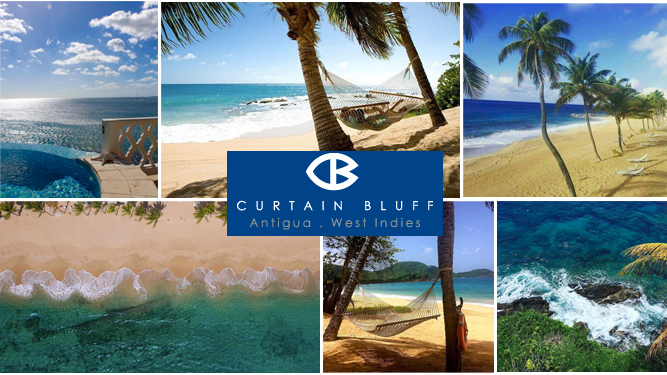 Autumn is upon us here in the UK and although that means scarves, hats and winter coats to some of us it’s not the case for our wonderful new stockist Curtain Bluff who will keep you warm in Antiqua all year long! Ashiana will soon be making the first delivery of exclusive SS17 stock to their gorgeous resort boutique. Curtain Bluff is an award-winning luxury all-inclusive beach, spa & tennis resort in Antigua, West Indies; One of the finest resorts in the Caribbean. Ashiana is excited to be stocked at Harvey Nichols! As we transition from summer to autumn we welcome our new September stockist of the month, Harvey Nichols. Ashiana is proud to announce that not only are we stocked in the prestigious Knightsbridge and Manchester stores but now we have launched a capsule collection online. Since Harvey Nichols first opened in Knightsbridge in 1831, it has led the way in sourcing the most desirable and cutting-edge designer brands. Recognised as the UK's premier luxury fashion retailer, Harvey Nichols is internationally renowned for its expertly edited fashion and beauty merchandise. 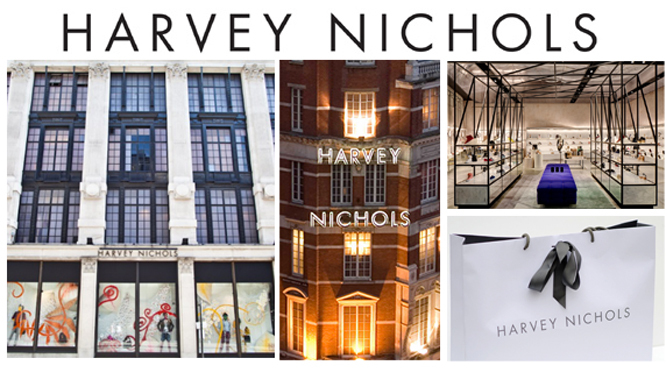 Harvey Nichols stores offer the ultimate fashion experience. Seen as ‘the place to be’, Harvey Nichols is the club that doesn’t require a membership. Exclusive, niche and established labels sit alongside accessible everyday collections, offering customers the must-have edit for all their wardrobe needs – from everyday to extraordinary. Ashiana is excited to be stocked at Bottega! August’s stockist of the month comes from one of our most established customers, Bottega. Owned by the lovely Samantha Moss. 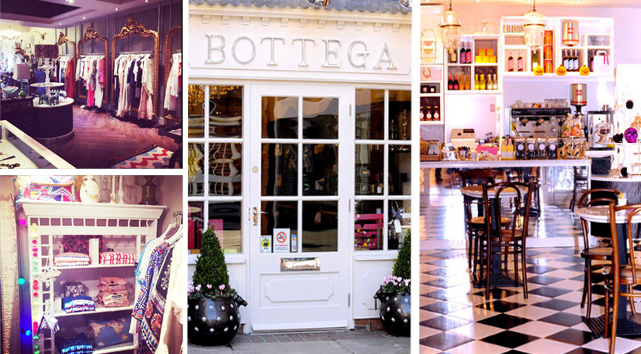 Bottega, voted by Vogue as one of the top 100 best shops outside of London. The chic and trendy shop sells everything from unique homeware and candles to stunning clothing and accessory collections. After all the browsing, selecting, trying on, and imagining it all in your wardrobe, the shop welcomes you to their Birdcage Café for a rest and drool-worthy desserts. Next time you find yourself strolling through Taporley High-Street, pop into Bottega, and don’t forget to check out the latest Ashiana’s pieces to drop-in store. 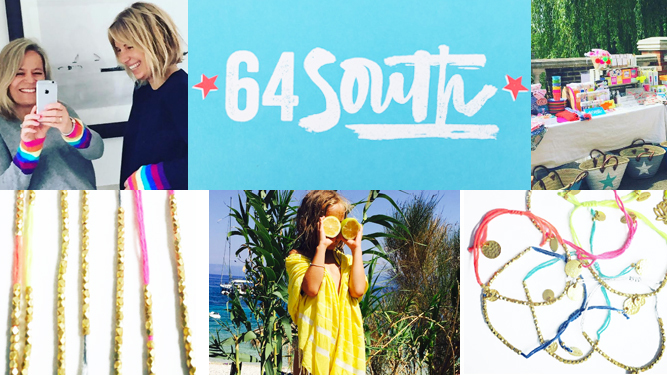 Ashiana is excited to be stocked at 64 South! Our June stockist comes not only from a new stockist, but also a new brand too! 64- South was founded earlier this year by friends Anna and Lucy, after a chance meeting where they both discovered that they lived on the same street, went to the same college and shared the same dream to start their own company. We hope to see this brand grow from strength to strength and look forward to being a part of their journey on bigger things to come! Ashiana is excited to be stocked at Lvbt! Our stockist this month is online shop LVBT. Founded by Taryn Courland with the hope to create a brand that inspires woman to explore their unique style and to embrace their natural beauty. 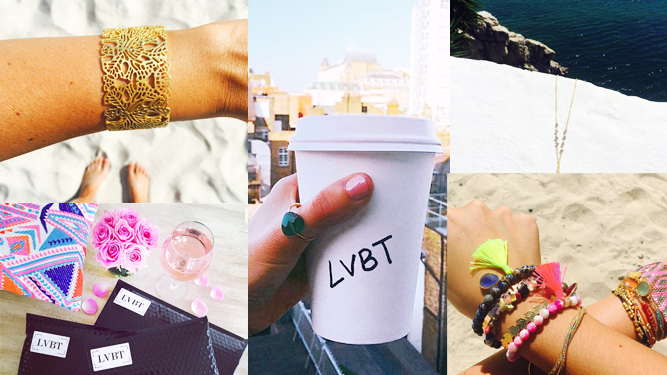 LVBT is a one-stop destination for affordable luxury and stylish accessories, proudly sourcing from around the globe. With a collection of 14 brands in 9 countries, the site has a strong travel vibe and is a great place to stock up on all your holiday must haves. If you haven’t already visited their newly styled website then we recommend have a quick click on over there. 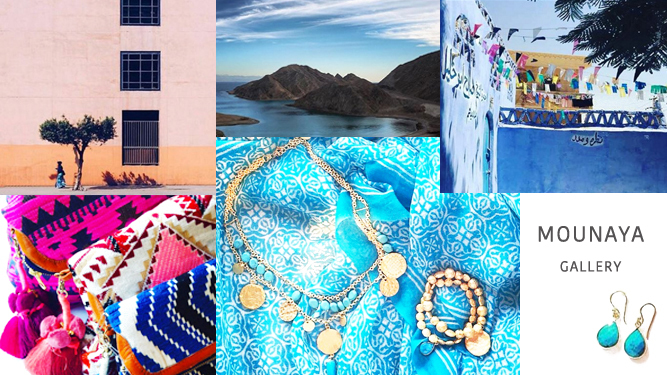 With an abundance of dreamy summer styled lifestyle shots, blog & well curated Instagram feed, you can find all the jewellery, colour and wanderlust images a woman could need! Ashiana is excited to be stocked at Mounaya! Our April stockist is the wonderful Mounaya Gallery. This boutique is the perfect choice for the month as we all start to turn our thoughts to Spring. Some of you may be flying away to hotter climates for an early sunshine fix …. but fear not for all of those not doing so, as Mouynaya has got you covered. With their boutique based in Cairo, Egypt, their Instagram account is often awash with travel inspired images from around the ancient City, and with our new SS16 bag collection having just landed in store, they are now set to give you all a feeling of total Wanderlust! Ashiana is excited to be stocked at Pink Flamingo Spa! Our March stockist is the lovely Pink Flamingo and we can’t think of a better selection for this month pick than this Spa & boutique. With Mother’s Day right around the corner, the topic of pampering seems very appropriate for a place that does exactly that! 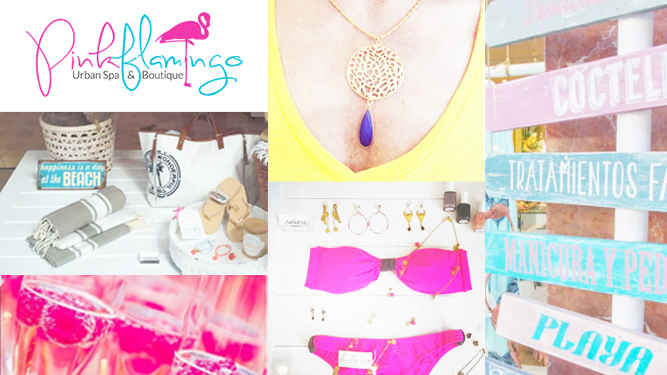 Based in Mallorca, Spain, Pink Flamingo offers a total one-stop destination for all those wanting to get beach ready. With a white washed wood interior and palms plants springing in every corner and a handpicked collection of pieces for their adjoining spa boutique, it’s a surprise anyone actually leaves! Ashiana is excited to be stocked at Mohrmann Basics! 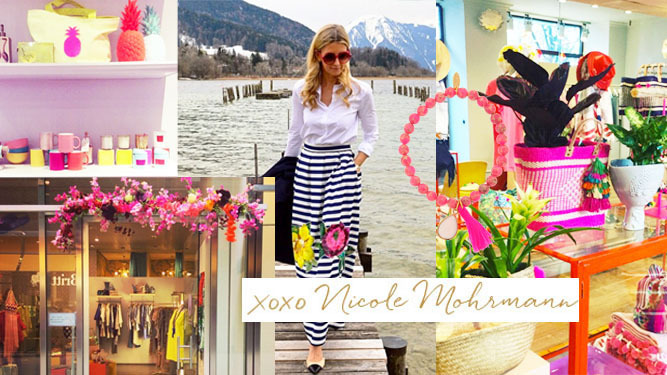 Our February stockist of the month is happens to be luxury fashion & lifestyle brand Mohrmann Basics spread across 3 stores in Munich, Germany. Each one fantastic in it’s own way, with there own individual styling and atmosphere. All 3 stores however do share the same great offering of wonderful pieces from well-established brands to new finds. Owner Nicole is a very keen traveler, which can often be seen to come through in her selection of tribal boho esque items in store, with a pompoms and Aztec prints never very faraway. We also suggest you head over to their Instagram account for an injection of fun and colour. Mohrmann Basics is definitely every bit more than basic in all aspects, so please, please promise us that you will pop into at least one store if you’re ever in Munich. You can thank us later! Ashiana is excited to be stocked at The West Village! 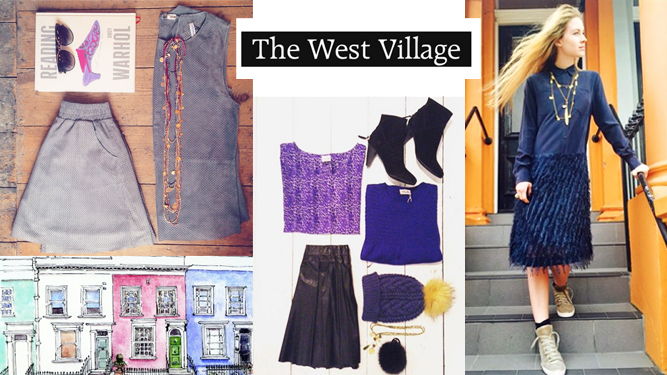 Our January stockist The West Village is the ideal place to alleviate even the biggest case of January blues! Located in London's Notting Hill, this contemporary womenswear boutique is full of a wonderful mixture between both labels and retro styled pieces .With a sleek interior and even sleeker collection of items on offer, we must insist that whenever you find your self wandering amongst the array of colourful houses make sure to pop into the store and have peak for yourself! Ashiana is excited to be stocked at Morley Delray Beach! Our December stockist Morley Delray beach is sure to brighten these dark winter days! Located in downtown Delray Beach, Florida, the Morley website is the perfect for transporting us all to a warmer climate where the waves roll and the sun shines. 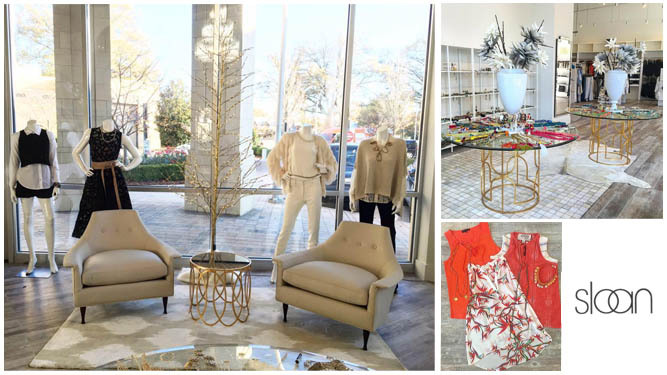 This luxury lifestyle store is everything you would expect and more from this vibrant city. With a relaxed interior and an abundance of bright and colourful pieces to get customers resort ready, you needn’t look any further to get your next shopping fix. 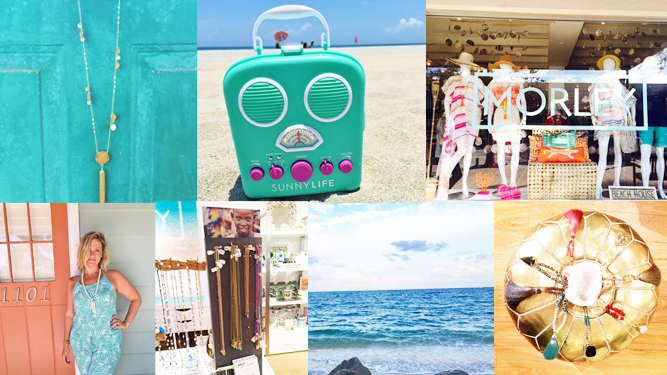 With a mix of jewellery, clothes and homeware, the store encompasses the easy, stress free & fun atmosphere that you expect from a beach resort! Added to this is a punchy selection of trend led and cool aesthetics, keeping the store a hotspot for locals too. 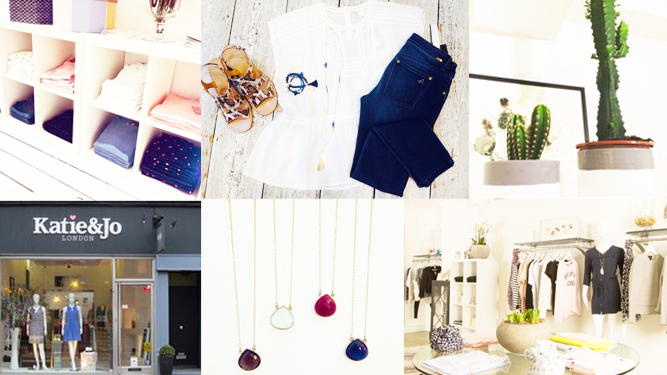 However, if you’re not a Delray local, fear not, as Morley also have a wonderful online shop - along with an Instagram feed that is sure to fill you with beach vibes to get through the cold winter months! Ashiana is excited to be stocked at Katie & Jo! Founded by two old school friends in 2010, Katie & Jo is a stylish and contemporary Boutique Brand. Having recently this year celebrated the opening of their new store in Bellevue Road, the West London duo continue to expand both their presence and offering. …Once inside you will find a carefully handpicked and curated collection of luxury items sourced from around the world, all housed in a beautifully chic interior. Having become quickly renowned for their selection of trend-led yet wearable fashion and accessories, both stores shout out an effortlessly cool vibe. One collection in particular to be currently flying of their shelves is our new Wool/Silk blend scarves, with a mix of leopard and ombre prints in stock now at their Bellevue address. The owners can be regularly found in-store helping customers style outfits and pick out purchases. However they also have a great online store, which matches the appeal of their two boutiques. Ashiana is excited to be stocked at Anna! 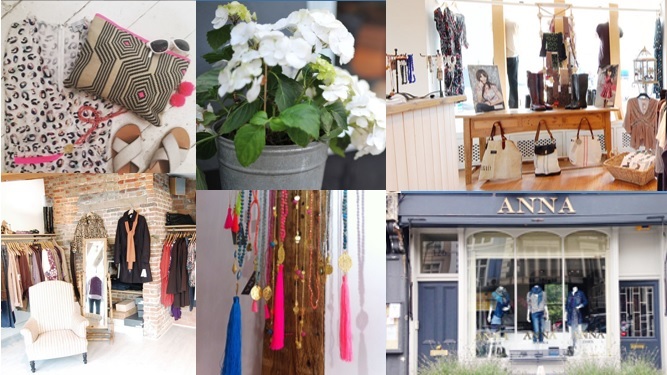 Founded by Anna Park in 1994, starting from Norfolk ANNA now has several stores across East Anglia, and their beautiful flagship store is located in the heart of Primrose Hill in London.. Being named one of the most successful independent womenswear retailers in the UK, Anna has extraordinary talent and a sixth sense when it comes to designer fashion. Stocking forever classics as well as the cream of the up and coming and the “next big things” of fashion, it is always refreshing and exciting experience to visit any of Anna’s shops. The tasteful interior will make your shopping trip here not short of a treat, or you can simply head online to shop Anna’s fashionable selection from their website. 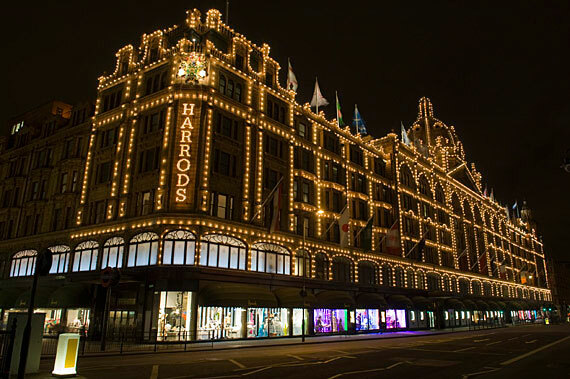 Harrods has often been called the most famous department store in the world. Located in the exclusive Knightsbridge area of London and occupying a stunning building it is nothing short of a London icon. The shop's 330 departments offer a wide range of products and services with up to 300,000 customers visiting the shop on peak days. A representative sample of shop services includes 32 restaurants, serving everything from high tea to tapas to pub food to haute cuisine; a personal shopping-assistance programme known as "By Appointment"; a watch repair service; a tailor; a dispensing pharmacy; a beauty spa and salon; a barbers shop; Harrods Financial Services; Harrods Bank; Ella Jade Bathroom Planning and Design Service; private events planning and catering; food delivery; a wine steward; bespoke picnic hampers and gift boxes; bespoke cakes; bespoke fragrance formulations; and a pet grooming department! Ashiana is proud to be stocked in this iconic store! Find our jewellery and bags for sale in the Swim Department – ready for any of you who need something for your holidays! Ashiana is excited to be stocked at A La Plage! Close your eyes and imagine paradise… Chances are you're probably imagining something a lot like the location of this month’s featured Ashiana stockist! 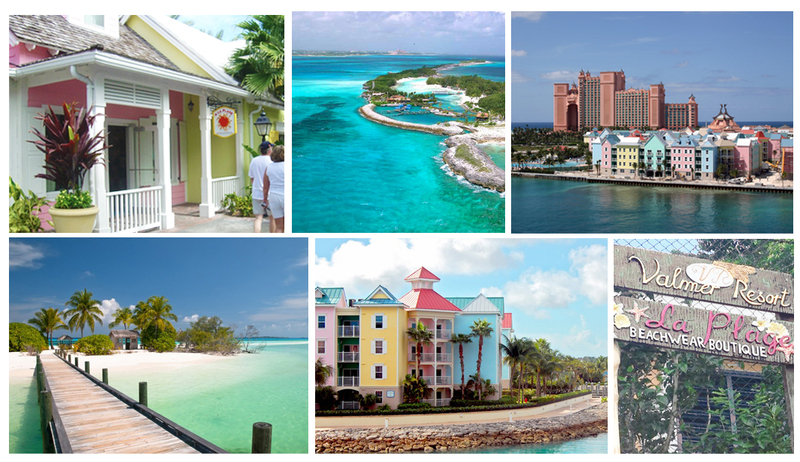 Paradise Island is located just north of Nassau in the heart of the Bahamas and really does live up to its name - with crystal blue waters, white sandy beaches and pastel coloured buildings along palm tree lined streets. With summer now in full swing and our thoughts drifting off to far away places, we can think of no better stockist than A La Plage to take the spotlight this month. If you are lucky enough to be heading out to this beautiful island be sure to pop in and browse the boutique’s beautiful selection jewellery, swimwear and accessories! We promise it will be worth tearing yourself away from the beach for an hour or so! Ashiana is excited to be stocked at Heidi Klein! Heidi Klein's focus on exclusive styles and prints has earned a continued celebrity following from Kate Moss to Olivia Palmero, to Sienna Miller and Jennifer Anniston, as well as maintaining a strong following with the press and a loyal customer base..
With stunning boutiques in London, Montenegro and The Hamptons, USA as well as selling in over 150 stores in 39 countries globally, Heidi Klein is a global swim brand for the well-traveled client. The Ashiana collection of jewellery, scarves and sarongs are the perfect complement to this global swimwear brand. Ashiana is excited to be stocked at Melissa Odabash! Melissa Odabash is the ultimate luxury holiday lifestyle brand. Her exotic, glamorous and sensual designs are must-haves for the distinguished global traveller. As a former swimwear model who lived and worked in Italy for many years, Melissa has a finely tuned sense of what women want from their swimwear: beautifully designed pieces, with timeless style and cut from superior fabrics designed to suit every body type and make women look and feel their best. Melissa has been credited with re-introducing high fashion into the swimwear world and has been established for over a decade with other complementary ranges including everything from swimwear, beachwear, jewellery, accessories to ready-to-wear. Distributed in over 48 countries and in over 250 luxury department stores, boutiques and resorts including Harrods, Harvey Nichols, Selfridges, Barney’s, Saks Fifth Avenue , Neiman Marcus, Bon Genie, One & Only Resorts, NET-A-PORTER.COM. The label has achieved a growing presence within an exclusive niche market. 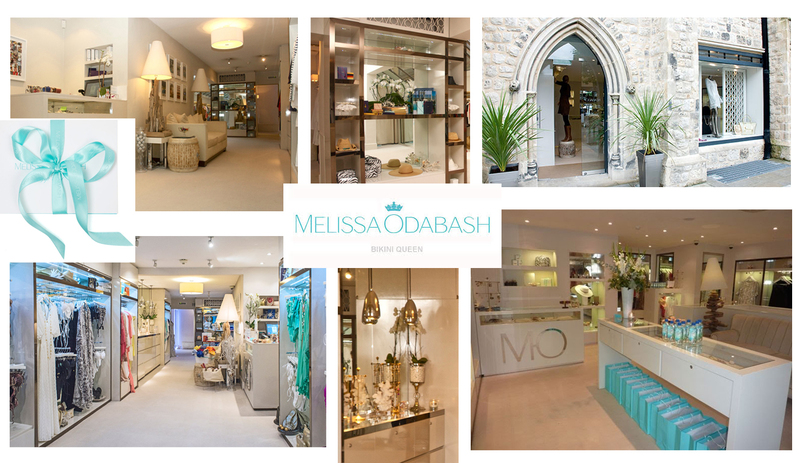 Adding to this Melissa’s own flagship store was opened in 2007 in chic Notting Hill, West London followed by a sister store in Chelsea – offering her clients a real taste of the Odabash experience. Many Ashiana products can be found at both of the Melissa Odabash boutiques. 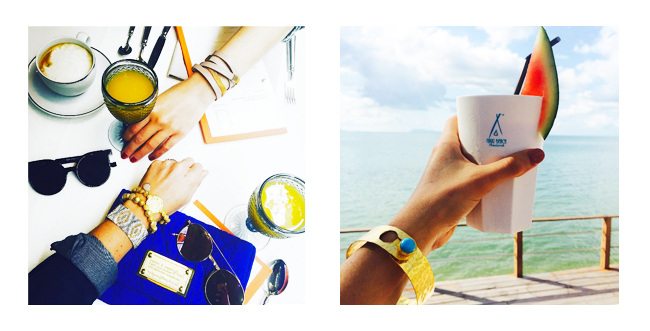 Plan a visit before your next holiday and check out our jewellery there! Ashiana is excited to be stocked at The Meridian Club! Centrally positioned on a secluded, two mile stretch of one of the finest beaches in the Caribbean - The Meridian Club is a boutique, environmentally sensitive private island resort. Upon arrival, you will truly understand "the sound of silence". The Meridian Club is the only resort on the 800 acre private island of Pine Cay, a pristine, natural haven with no automobiles and very limited development. 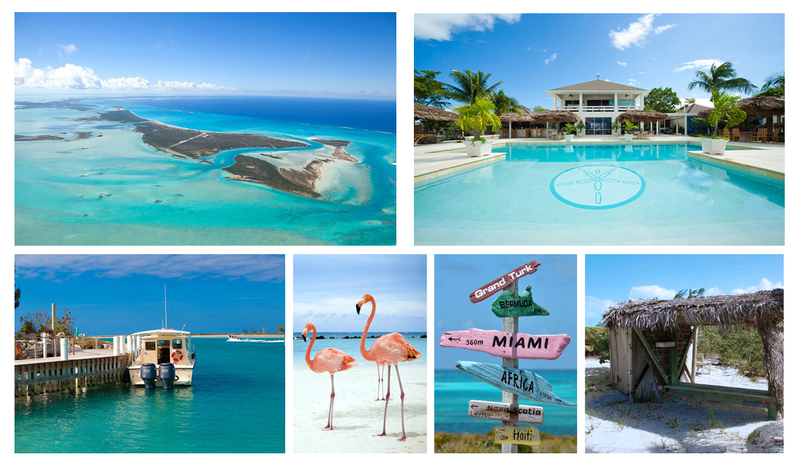 It's a world away, yet only a 15 minute journey by boat from the bustle of Providenciales. If you are lucky enough to find yourself on the Pine Cay island, please remember to look for Ashiana! Ashiana is excited to be stocked at Selfridges! This iconic department store located on London’s Oxford Street opened in 1909 and has grown from strength to strength having been named as the world best department store this year again for the third year running! Founded by Harry Gordon Selfridge a Chicago man with a penchant for publicity and now the subject of a television series about the store and his life. The store still stands tall and proud and is a London icon and a must visit for tourists. Shoppers leave happily with their signature canary yellow Selfridges bag. The store ships to over 60 countries around the world and we are excited to be stocked by them as you can buy Ashiana and have it shipped right to your doorstep. We are located in the swim wear department - the perfect accessory to take on your dreamy holidays as well as online! Ashiana is excited to be stocked at Pink House! Nestled under the palms of the beautiful Caribbean island of Mustique, part of St Vincent and the Grenadines, sits a gingerbread-style boutique called Pink House. Founded in 2008, The Pink House combines the talents of local craftsmen and women with top quality imported materials to produce beautiful clothing and accessories, creating a unique shopping experience whilst supporting the local community. 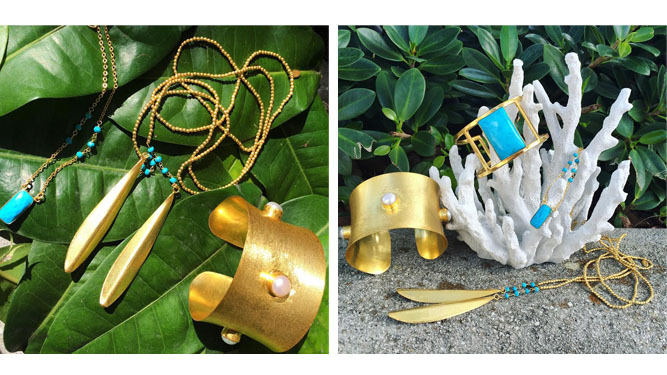 Shop the Ashiana collection at Pink House Mustique boutique whilst visiting the beautiful island!